Woodblock. 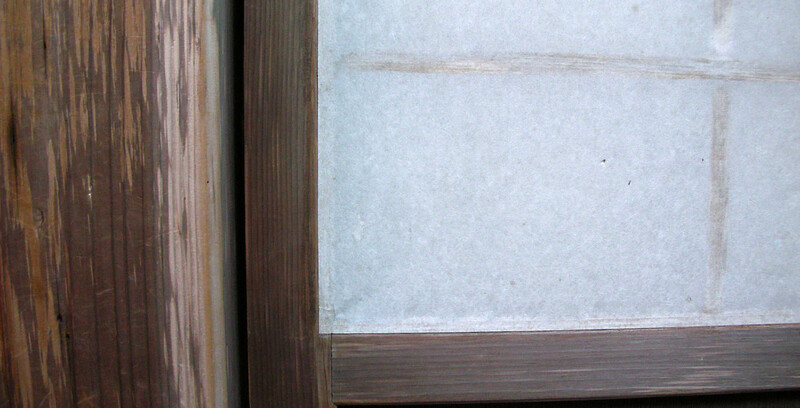 Born 1942 Kagoshima. Self taught. 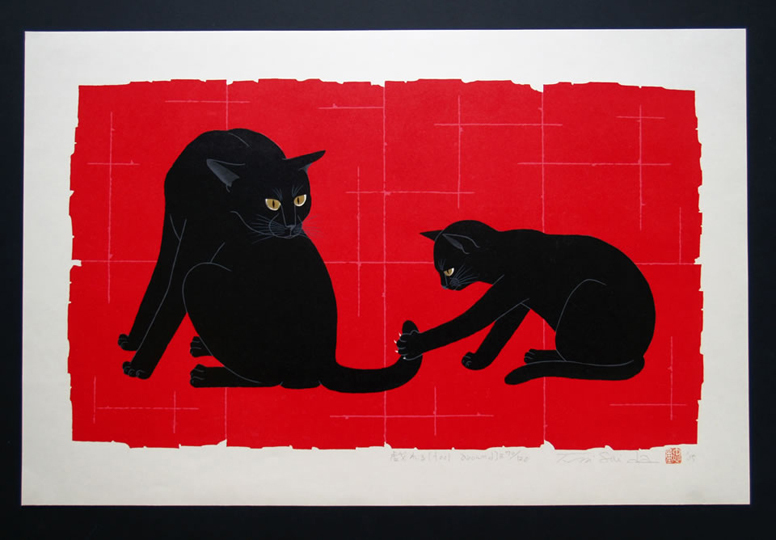 Started as painter winning awards and shifted to woodblock printing in 1985 exhibiting in New York. Permanent Collections: New Tokyo International Airport Authority, Chiba; Funabashi City Hall, Chiba; Prefectural Governments Hall, Tokyo; Sr. Citizens Welfare Centre, Tokyo. 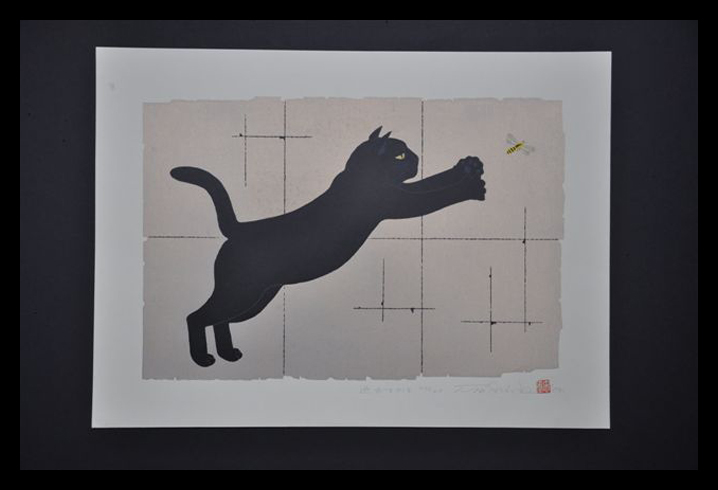 Nishida is a recognized contemporary woodblock print master in Japan, and his works have been exhibited countless times at major galleries and high-end department stores in Japan. 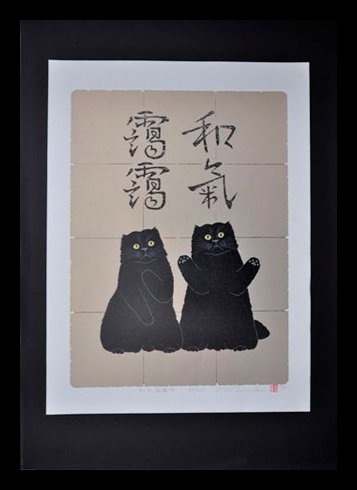 From 1986 to the early 1990’s, Nishida’s prints were being published as calendars for many banks and large corporations. 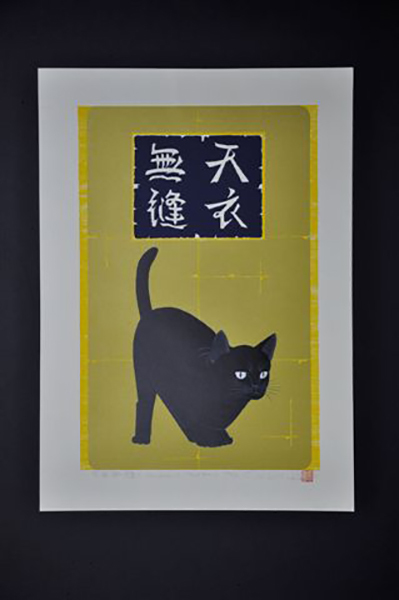 In 1992 he was invited to participate in the CWAJ Print Show, and he has been exhibiting at this annual event ten times. 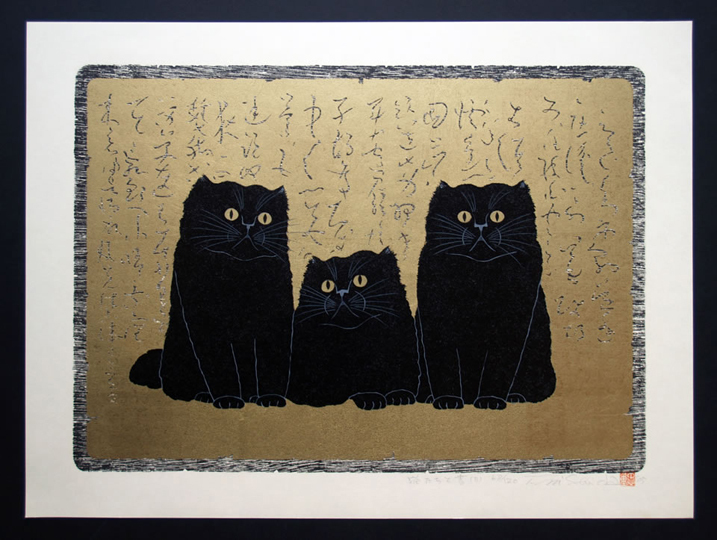 Although now best known for his depiction of cats at play , Nishida’s imagery is wide-ranging and includes landscapes and nature scenes with beautiful trees. The designs are overtly contemporary and the prints are hand-printed with a variety of pigments, often including glossy oil-based inks and shimmering mica backgrounds. 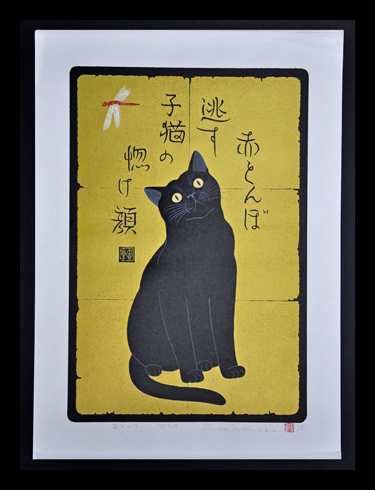 His works are beautifully printed and are actively collected by Japanese and foreign collectors alike.